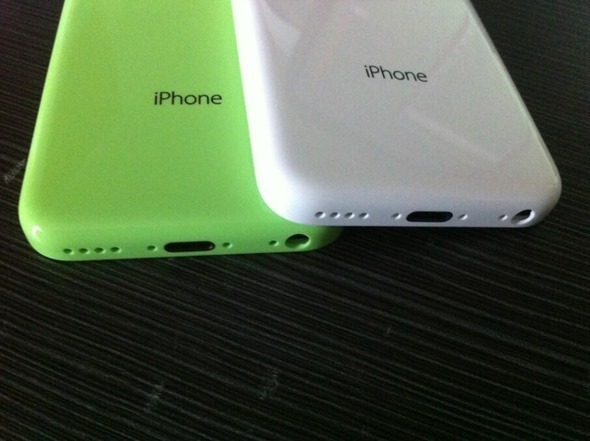 Newly leaked photos appear to show the budget iPhone’s rear shells alongside a colorful iPhone 5 for comparison. We’ve had countless leaks of the supposed budget iPhone at this point, many showing what appear to be a rear shell in a variety of colors. 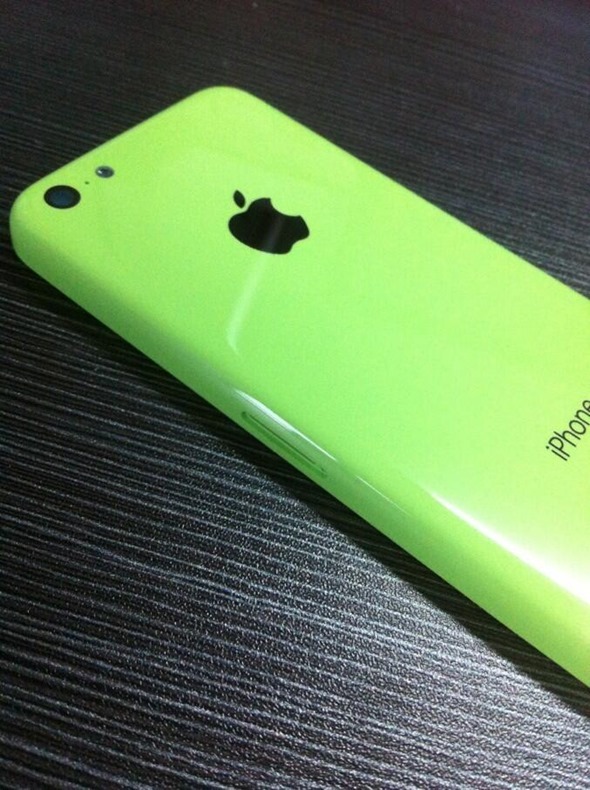 Finding examples of what is supposed to be a budget iPhone isn’t that hard at this point, but new images appear to show the same colorful shells we’re used to seeing, but this time with an AnoStyle-colored iPhone 5 for context. The budget iPhone is widely expected to be released alongside the flagship iPhone 5S later this year, with the device being made of less exciting materials and aimed squarely at the lower end of the market where Android and Windows Phone currently offer arguably better value than Apple’s top of the range iPhone. 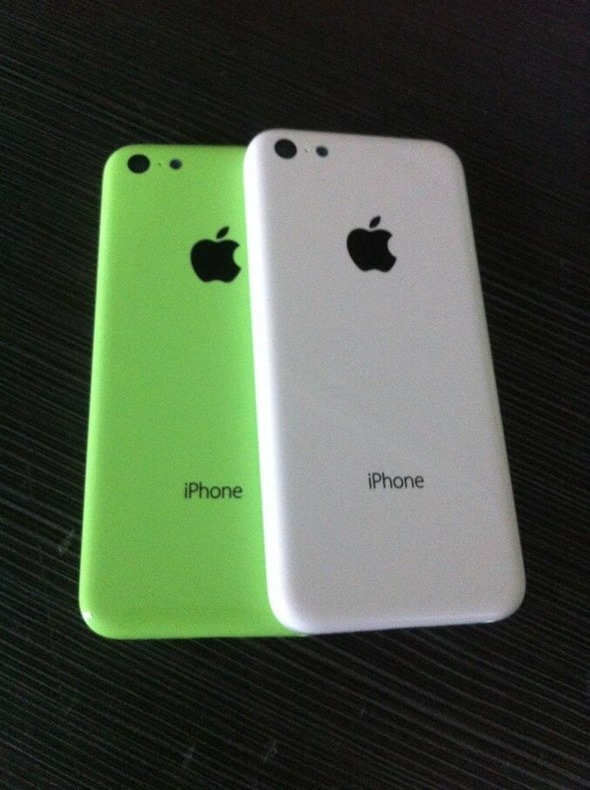 Comparing the budget iPhone’s rear shell with that of an iPhone 5 show that the new, cheaper device will feature a 4-inch display just like the iPhone 5 currently does, and as the iPhone 5S is also expected to feature, or maybe a 4.3-inch display if the report we covered a while ago has some sort of weightage. 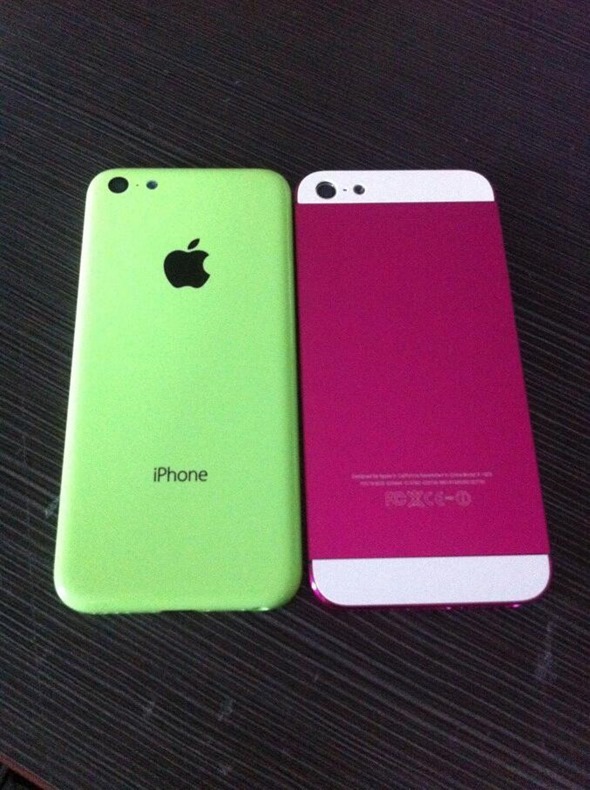 The iPhone 5S will offer a more premium feel and features than its lower budget counterpart, but those looking for a rainbow-colored iPhone may actually prefer this unannounced model over others. This latest round of photos comes courtesy of developer Sonny Dickson, and show his AnoStyle-modded iPhone 5 as a reference. We actually think the aftermarket color job offered by AnoStyle looks better than the claimed budget iPhone rear shells, but then again it’s not a cheap modification to have done. Current rumors suggest that the iPhone 5S will be delayed due to issues with production. It’s unclear whether that would also see the budget iPhone be delayed or not, though we suspect Apple would want to launch both devices simultaneously rather than staggered. Both were originally believed to be on course for a release around September or October time, though that is currently being thrown into doubt. We’re still not sure about this budget iPhone ourselves, and while it is beginning to be clear that the handset is real, we can’t help but think Apples current policy of selling the year-old model as a faux-budget model is best.